Bangkok. 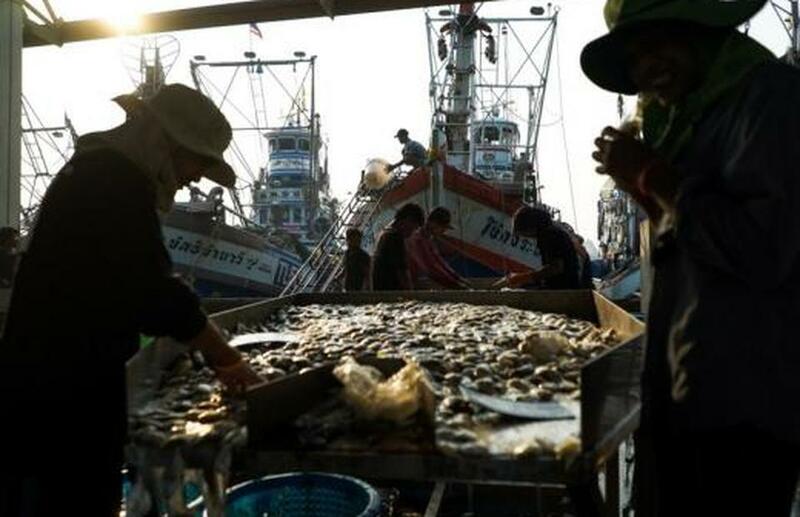 Labor rights campaigners warned against complacency as the European Unionwithdrew its threat on Tuesday to ban Thai fishing imports into the bloc, saying that the country has made progress in tackling illegal and unregulated fishing. The European Union's so-called "yellow card" on Thai fishing exports has been in place since April 2015 as a warning that the country was not sufficiently addressing the issues. "Illegal, unreported and unregulated fishing damages global fish stocks, but it also hurts the people living from the sea, especially those already vulnerable to poverty," said Karmenu Vella, European commissioner for environment and fisheries. After the EU threatened to ban fish exports, and the US State Department said it was failing to tackle human trafficking, the Southeast Asian country toughened up its laws and increased fines for violations. Thailand has introduced modern technologies – from satellites to optical scanning and electronic payment services – to crack down on abuses. But the International Labour Organization (ILO) said in March that fishermen remained at risk of forced labour, and the wages of some continued to be withheld. The European Union said on Tuesday that it recognized efforts by Thailand to tackle human trafficking and to improve labor conditions in the fishing sector. Thailand voted in December to ratify ILO convention 188 – which sets standards of decent work in the fishing industry – becoming the first Asian country to do so.